Latest article and a MASSIVE well done to Russ Tanner! 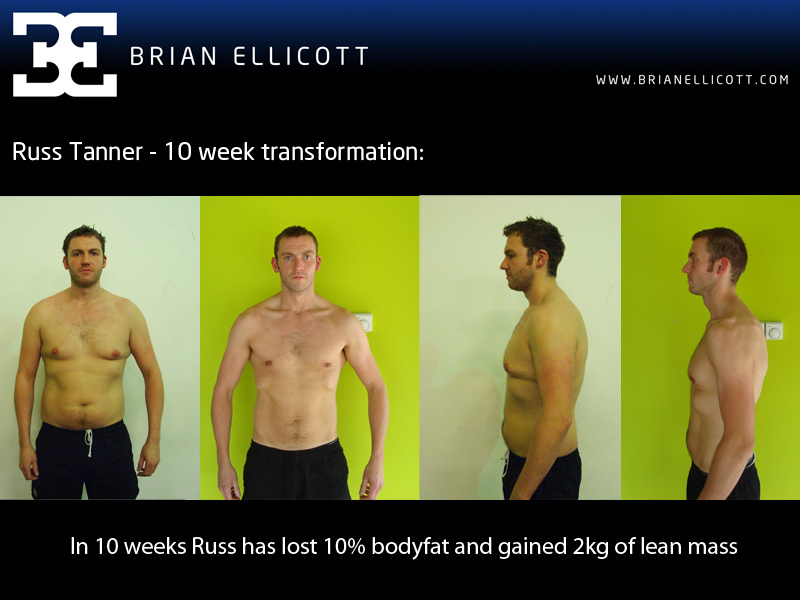 MASSIVE well done to Russ Tanner – 10% bodyfat lost in 10 weeks! AND we managed to re-hab his partially torn bicep in that time!